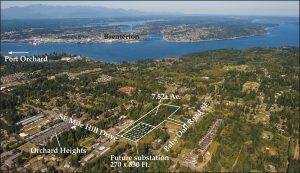 Puget Sound Energy is selling an undeveloped property off Mile Hill Drive where a substation was planned. Realty Marketing/Northwest listed the 7.5-acre property in a fall auction catalog released last week, with sealed bids due by Nov. 15. The sale includes portions of two long parcels stretching north off Mile Hill Drive and a smaller parcel connecting to Baby Doll Road (see inset image). The land is zoned commercial and could be developed as apartments or “entry level housing,” according to Realty Marketing/Northwest. PSE spokesman Ray Lane said a substation was planned on the property 25 years ago. 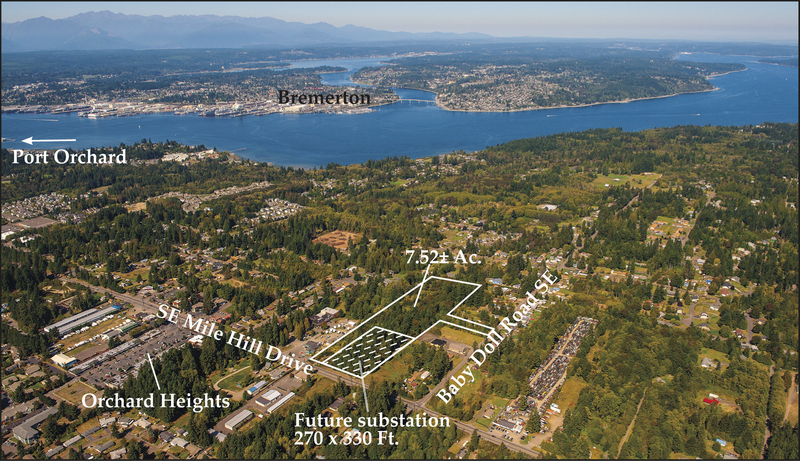 PSE will hang onto 2 acres along Mile Hill Drive in case a substation is needed in the future.